The girls season begins in August 6th, which means the annual parent meeting is just around the corner – July 10th. Read more about the pre-season meeting and other info below. Every year the girls team holds a pre-season meeting in the Lincoln High School Commons (the big glass entrance just north of the Roundhouse). This year’s meeting is July 10th at 6PM; suit try-ons begin at 5:30PM. This gathering is designed to set expectations for the upcoming season and to answer any questions. It also is chance for the swimmers and divers to catch-up with old friends and meet new ones. This meeting is mandatory for every swimmer/diver and at least one parent to be on the team. We plan to offer online payment for season fees and apparel items like prior years. However, due to the earlier meeting date – we are opening orders the night of the meeting through the following seven days. Complete details and several images of all the apparel items can be viewed online by July 10th. Mandatory Team Bundle – $100: This includes the team suit, two silicone team caps (with name), travel food costs and team t-shirt. 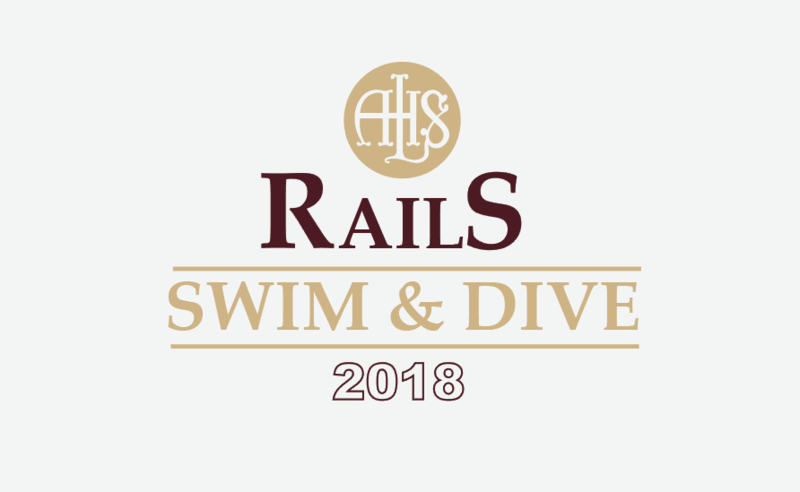 (The divers will have an option for the swim caps or a chamois with Rails Diving printed on it. A team bundle is required for all team members. Once apparel is ordered, there are no refunds. Pre-meet Bag Dinner Add On – $25: New for 2018! We’re hoping to help the athletes have a balanced meal before each competition. Doing so can improve stamina and performance in the water. Team Warm-ups – $100: While these are optional, all of the team (but one or two members) owns them. The team wears them during all meets when lined-up for the national anthem, during meets between events and are required for award stands at Conference, Regionals and State. With proper care, they should last all four years of high school swimming*. Note – you’ll need to add the jacket and pants to your cart separately because this allows to choose different sizes for each (if needed). Team Sweatshirt – $28 / $40: This year’s team sweatshirts come in two styles – a maroon hoodie and a ladies fit hoodie. With a unique design, they are a great keepsake, perfect for swimmers and fans alike. Team Sweatpants – $30: Cozy and warm! Perfect for those colder evenings after practice and meets. Speedo Vanquisher Goggles + Bungee – $20: Save a trip to Elsmore Swim Shop. Pay online and get your goggles/bungee from practice on a first come, first serve basis. Team T-Shirt for fans – $15: The girls will receive their team shirt in the team bundle. This item is for parents or fans who want their own or an extra as a keepsake. This year, it will have the team quote on the back. Fan T-shirt – $13: Show your LHS Rails pride in the stands. We encourage our fans to wear this shirt to most dual meets. It is only redesigned every 10 years or so and was just done in 2015. We love filling the stands with maroon and gold and this is a great way to do it! Prices are set based on the cost of goods and printing. Some items are more expensive (ladies fit hoodie) than others (standard hoodie) which is why there are pricing variations for the “same” apparel item. Thank for our families! We’re looking forward to another great season!